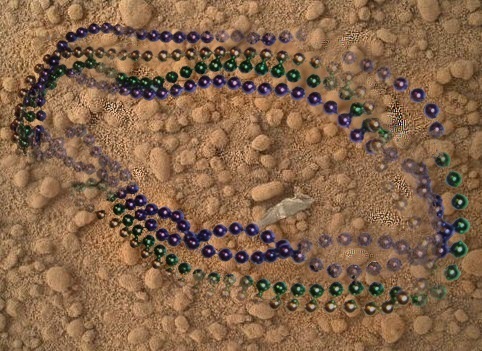 Have you heard, Mardi Gras has made it to Mars!!! Yesterday there were rumors flying about the internet about a massive discovery of plastic found on Mars. With only a quick glance it seemed to be a legit press release from Jet Propulsion Lab in California. However, for anyone that looked at the article for more then 30 seconds, it was obvious that this was a nicely executed hoax. Phil Plait from Bad Astronomer wrote a great post last night listing all of the ways that this hoax outed itself. The prankster obviously wanted to take advantage of the “earthshaking” announcement from last week that something was found on Mars. It was later determined that even that previous press release was an over-exaggeration by a reporter after an interview with a Curiosity team member. Massive scientific hoaxes have been around for ages. Sometimes they are a lot harder to spot than this one, and cause a lot more confusion than this little prank. One of the greatest achievements of the scientific method is the ability for correction over time. No matter how elaborate the hoax, science will be able to eventually prove or disprove a skeptic. There are times that hoaxes almost get by without detection, and as a reminder to stay ever vigilant to the proof here are five of the greatest scientific hoaxes of all time. 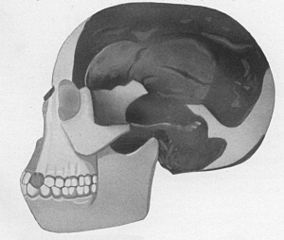 1) “Piltdown Man” – Many of you are likely too young to remember the big discovery of the “missing link” in human evolution. In 1912, Charles Dawson publicly claimed that bone fragments in his personal collection that had been dug from a gravel pit in Piltdown, East Sussex, England, were in fact proof of the connection between neanderthals and modern humans. While scientists at the time were skeptical, they couldn’t prove that the skull was a fake. In November 1953, Time published evidence gathered variously by Kenneth Page Oakley, Sir Wilfrid Edward Le Gros Clark and Joseph Weiner proving that the Piltdown Man was a forgery. The team had proven that the skull was a composite of the lower jaw bone of an orangutan deliberately fitted to the fully formed upper skull of a modern human. While this was a long standing elaborate hoax it was important to real scientific discovery. The international scientific community had to make massive strides in the study of human evolution in order to prove that this discovery was in fact a hoax. It also brought to light the importance of corroboration of massive scientific finds. 2) Modern Crop Circles – Everyone has heard of the mysterious crop circles that started showing up in English wheat fields in the 1970’s. Paranormal believers have long attributed the circles to aliens or other natural phenomenon. 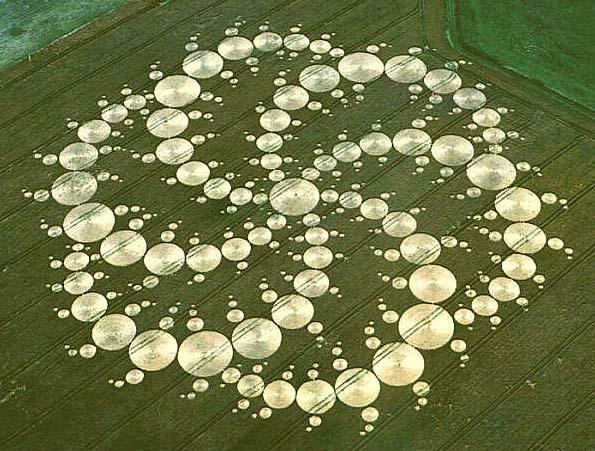 The crop circle craze received international attention in the late 1980’s when news sites started covering the circles that would just appear overnight. While some local farmers were outraged by the damage to their crops, the overwhelming tourism that the circles brought to the area tended to keep the crop circles as mysteries for years. In 1991, Doug Bower and Dave Chorley made headlines claiming that they were the start of the crop circle phenomenon. In their public reveal, he pair showed how they had used simple tools and intricate plans to create elaborate designs in wheat fields in and around Avebury, England. Shortly after Bower and Chorley came out with the truth, crop circles started showing up all over the world, most remain “unexplained”, but others have been made into works of art and even competitions. 3) “Redheffer’s machine” – When Charles Redheffer showed up in Philadelphia claiming he had designed a perpetual motion machine, the public was enthralled, but the scientific community was skeptical. Perpetual motion machines had popped up throughout history, all claimed to violate the laws of thermodynamics by generating enough energy to run forever on its own movements. There is a reason why the laws of thermodynamics are called laws, they cannot be broken, so when someone claims that they have broken them, its not usually too difficult to debunk. 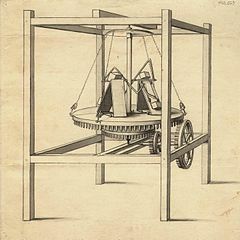 In Redheffer’s case, he was found out when he used a prototype of his device to apply for government funds to build a larger version of the machine. Redheffer had explained to the inspectors that his perpetual motion machine was providing the energy to power another, separate machine through a set of interlocking gears. However, the inspector noticed that the gears of the perpetual motion machine were worn in the wrong direction if it was really powering the other device. Instead, it was clear that power was being routed to the perpetual motion machine from the other machine. Instead of publicly debunking Redheffer, inspectors commissioned a local engineer, Isaiah Lukens, to build a machine that worked on the same principles as Redheffer’s machine. After a public demonstration of the new machine, where there were thousands of dollars had been bet and lost by investors, Redheffer quickly left town. He moved his scam to New York City (remember news travelled slow) and set up a paid exhibit that attracted a lot of popularity with the public. When mechanical engineer Robert Fulton visited the exhibit Redheffer was challenged again. Fulton made a deal with Redheffer that he could prove that there was a second power source, and if he couldn’t he would personally pay for any damage caused to the machine. Redheffer agreed and when Fulton removed a few wooden panels from a wall near the machine, he found that the machine was being driven by a string of catgut that was connected to a hand crank in a separate room. Hoax discovered, an angry mob destroyed the machine and Redheffer fled town yet again. The original Isaiah Lukens machine is still on display in the Franklin Institute in Philadelphia, PA.
4) “Clever Hans” – This clever Orlov Trotter horse captivated audiences for years with his ability to perform arithmetic, spelling and other intellectual tasks. Hans was a horse owned by Wilhelm von Osten, who was a gymnasium mathematics teacher, an amateur horse trainer, phrenologist, and something of a mystic. While on display, Clever Hans displayed his knowledge of many basic intellectual skills, and even a basic knowledge of the german language. Questions could be asked in oral or written form and the horse would always tap his foot correctly. Von Osten never charged admission for the displays of Hans’s gifts. So much speculation fell upon this horse that a 13-person commission was formed to determined how the hoax was performed. Their findings came back inconclusive, there was no indication of a fraud performed by von Osten. 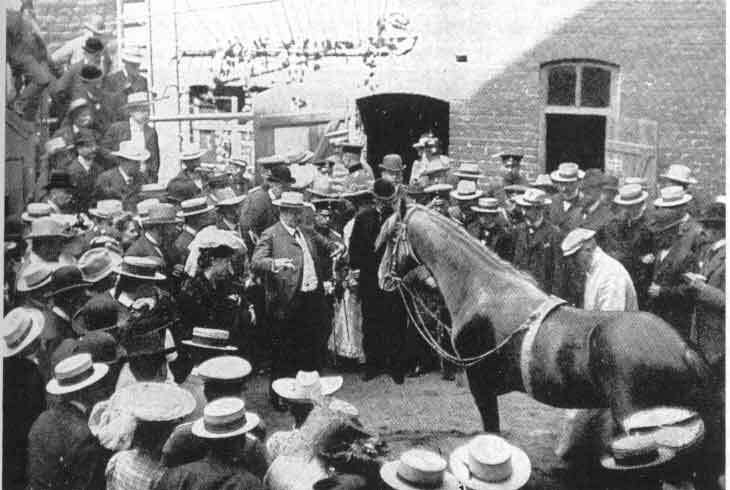 It wasn’t until a detailed psycological examination was performed in 1907 by Oskar Pfungst, that it was determined that the horse was not actually performing these mental tasks, but was watching the reaction of his human observers. Pfungst was able to determine that Hans was only able to answer questions correctly if von Osten happened to also know the answer to the question as well. Von Osten was notorious for becoming very angry when Hans did occasionally get an answer wrong that the horses reaction was an artifact of the training methods. Hans was able to read the reactions of his trainer and an audience to determine when he had achieved the correct number of hoof taps. While not as miraculous as a horse that could do math, the fact that the horse was able to read human reactions is in itself pretty remarkable. 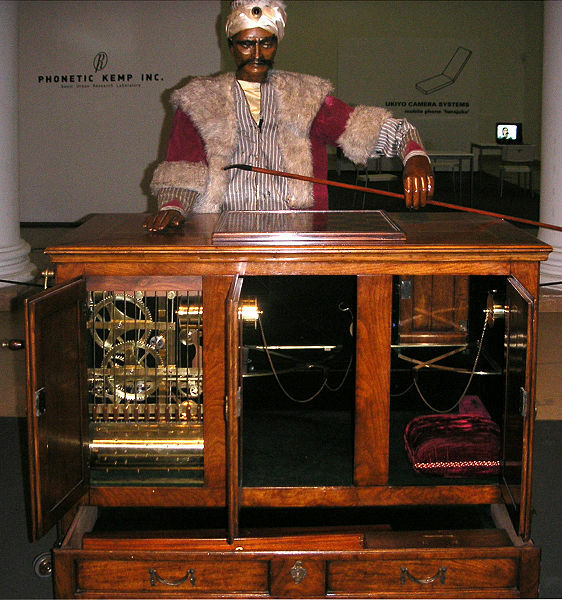 5) “The Turk” – This machine was constructed in 1770 and exhibited by its owners as an automated chess machine. Originally constructed by Wolfgang von Kempelen to impress the Empress Maria Theresa, the mechanism appeared to be able to play a strong game of chess against any human opponent. Kempelen had been inspired by a palace illusion performed by François Pelletier. An exchange following the performance resulted in Kempelen promising to return to the Palace with a real invention that would top the illusions. When Kempelen returned he brought his machine, allowed the public to inspect all of its drawers and mechanics before having it start playing opponents. The machine was extremely complicated internally in an effort to confuse the inspectors. The machine was able to normally beat opponents in less then thirty minutes. Kempelen never intended “The Turk” to become as famous as it did. He actually dismantled the machine shortly after that first exhibition, but was ordered to put it back together so that the Emperor Joseph II to reconstruct the Turk and deliver it to Vienna for a state visit from Grand Duke Paul of Russia and his wife. The Turk underwent a massive world tour that included players such as Benjamin Franklin and Napoleon. The machine passed hands several times and many threatened to reveal the secret of the hoax, even though they had no proof. While many articles were published over the years attempting to explain how the elaborate machine worked, it wasn’t until the 1850’s when Dr. Silas Mitchell wrote a series of articles for The Chess Monthly that the secret was fully revealed. Mitchell was the son of the final owner of The Turk. When a fire destroyed the museum that The Turk was being stored at, Mitchell decided that there was no reason to keep the Turk’s secret from the amateur chess enthusiasts any longer. Mitchell showed the world that the secret of The Turk was actually a human playing the game inside of the machine. While the machine was indeed ingenious for the time, using levers, pulleys and magnets to maneuver pieces about the board, the fact of the matter was that the brains of the machine was simply a very talented and concealed chess player. The Turk was an inspiration for a vast number of inventors throughout the years, from those trying to recreate the spectacle to others who used the idea of it to inspire other artificial intelligence machines. ← GeekMom Gift Guide: Books, Books, and More Books!